Dwarika’s Hotel is built in Nepalese style and features many architectural relics rescued from palaces and temples in the valley as well as Nepalese furniture, carvings and statues. 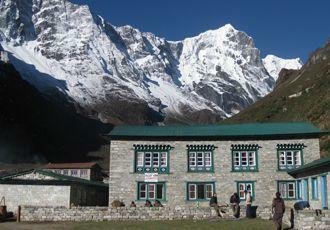 The building has a palace-like atmosphere and you really feel as if you are stepping back into Nepal's history. 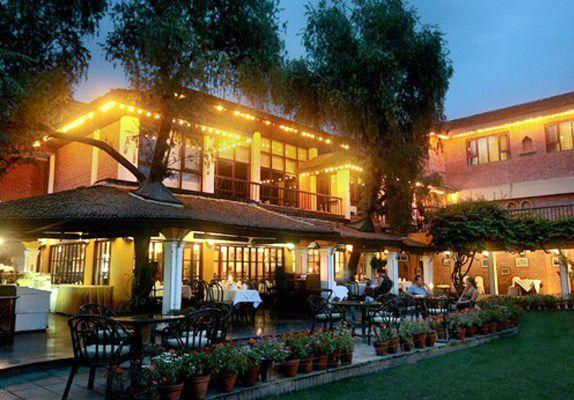 Its elegant restaurant is one of the places to eat in Kathmandu. It also has a pleasant courtyard garden with swimming pool. 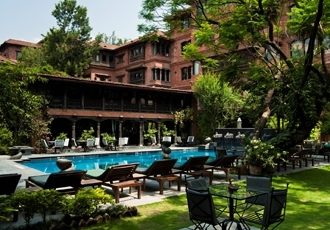 The Shangri La hotel in Kathmandu is a four-star hotel of character situated a stone’s throw from the British Embassy. It has a swimming pool and an award-winning garden plus a choice of restaurants and bars. It has always had a reputation of being one of the very top hotels in the city. On the most popular trekking routes in Nepal, villagers have built tea house lodges with simple twin-bedded rooms, hearty food, a communal area and plenty of local character. By staying in tea houses you will have close contact with the Nepalese people and contribute directly to the local economy. In both the Annapurna foothills and the Everest region, there are high quality lodges that offer a greater level of comfort then the more traditional tea houses. The lodges have comfortable lounges, excellent food and service, and ensuite bedrooms with hot and cold running water and flush toilets. They are built in eco-friendly style with landscaped gardens and are situated to take full advantage of the beautiful surrounding scenery. Browse some of our favourite experiences in Nepal, and add any that take your fancy to your wish list. One hour's drive north of Kathmandu, Dhulikel's resort rests on 20 acres of beautifully landscaped gardens and is back-dropped by a panorama of the Himalaya. Designed with an ethnic theme, the attractive cottages are made from red brick with thatch roofs to reflect the traditional architecture of the region. The resort serves good food and has a spa. This is Pokhara’s oldest established hotel, situated on the lakeside with lovely gardens, fabulous mountain views and a swimming pool. Although close to the bustling Pokhara lakefront, the Fishtail is situated on a narrow arm of the lake at the bottom of a densely wooded ridge and can only be reached by boat. It is therefore very quiet and secluded. Gaun Ghar Hotel is a restored village house of 14 en suite rooms in boutique style. Perhaps it was a Newari trader’s house in the days when Bandipur was an important stop on the Indian/Tibetan trade route. It is tastefully decorated and the owners are keen to be eco-friendly. The Summit Village Lodge has comfortably furnished rooms with en suite facilities. 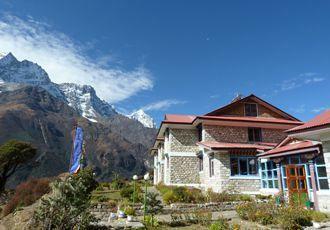 The lodge is situated in the hills that surround Kathmandu and has wonderful views. Tiger Tops’ unique tree houses and bungalows, built with locally available natural materials, provide unrivaled comfort in the middle of the jungle.Overlooking a large expense of open grassland, animal sightings from the lodge are commonplace. Other features include a viewing balcony, an impressive domed dining room and bar, a programme of jungle activities and superb local cuisine.